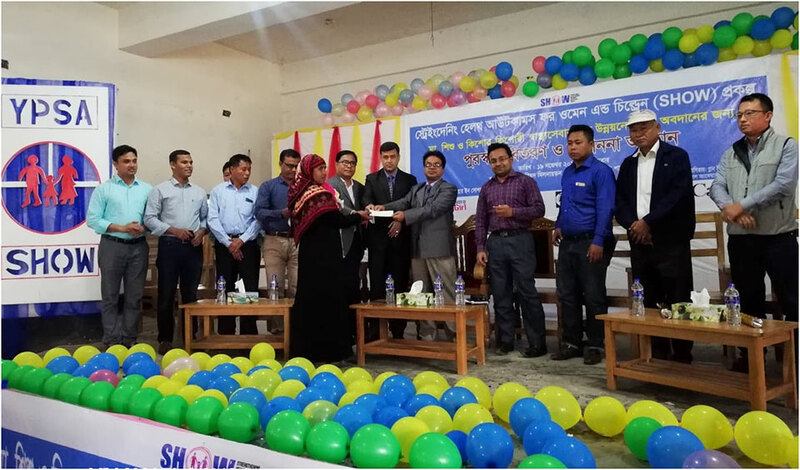 YPSA arranged a special program to celebrate the positive outcomes of MNCH/ASRHR (Maternal, New-born & Child Health/Adolescent Sexual Reproductive Health Rights) in Panchari, Khagrachari Hill District on 19 November 2018. 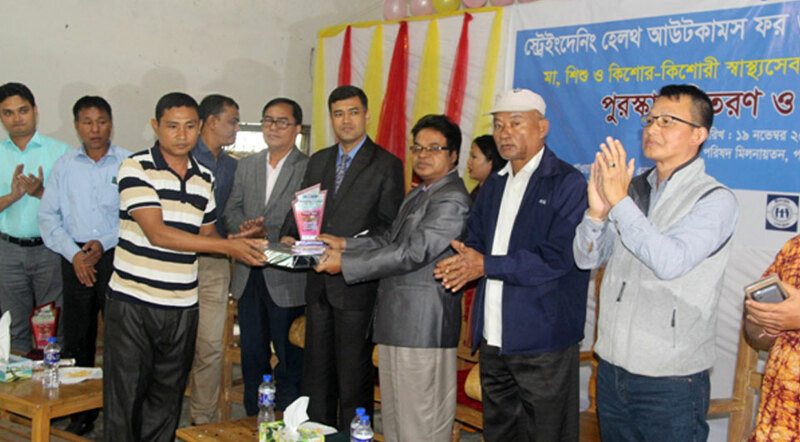 In the program, YPSA-SHOW project provides award and prize to the champions of MNCH/ASRHR on 3 categories. The award and prize is given for contribution towards the progress on maternal, new-born, child and adolescent health services in the area. 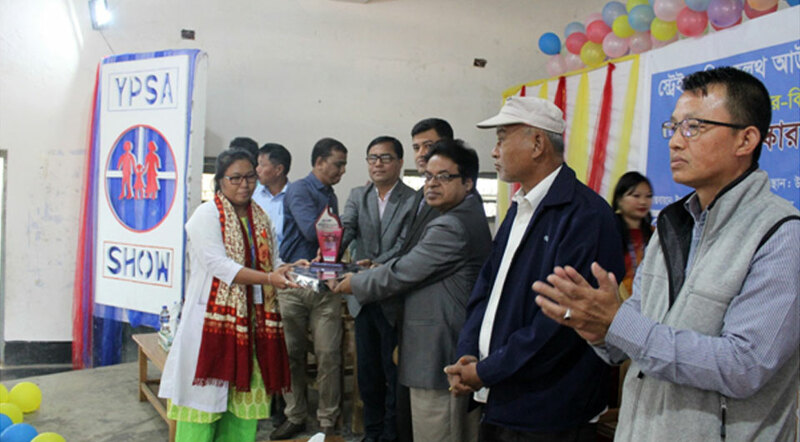 Mr. Biplop Barua (Deputy Director-Family Planning, Khagrachari Hill District) presided over the program and Mr. Dr. Shah Alam (Civil Surgeon, Khagrachari Hill District) was the chief guest in the program. 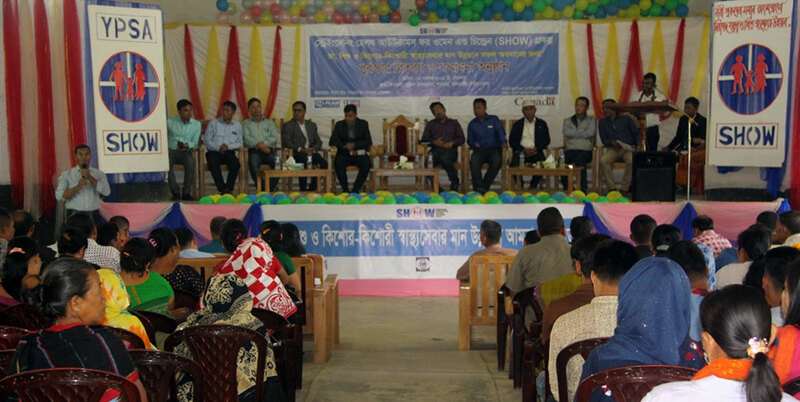 The slogan of the event was in Bangla “Nari-Purusher Saman Angshogrohon, Nirapad Mattritto O Shishu Sasther Unnyaon”. Mr. Md. 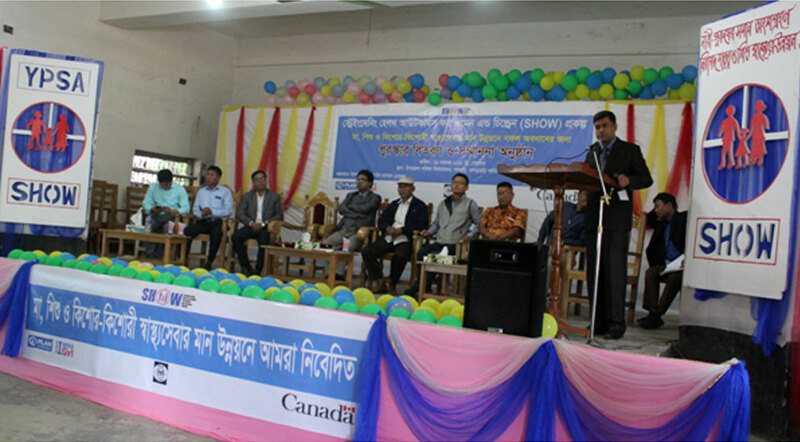 Jashim Uddin (Project Manager, YPSA-SHOW) provides the opening speech and welcomes the guest and participants to celebrate the positive achievement of YPSA-SHOW project. 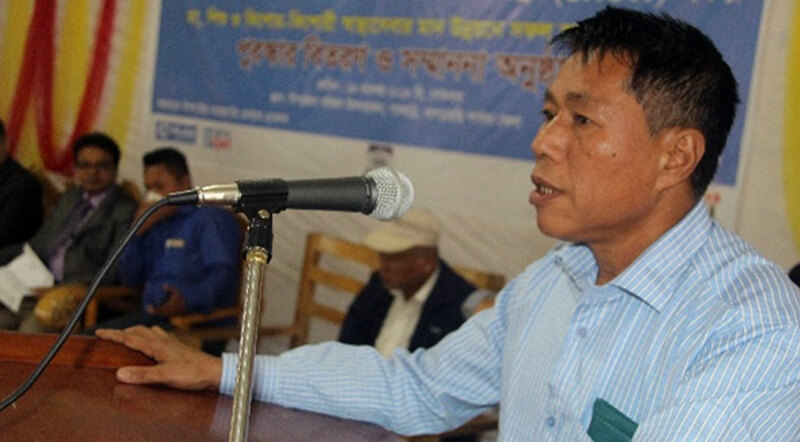 He said, YPSA has been working in Chittagong Hill Tracts more than 15 years. Many positive changes are happening in Panchari through the project intervention of YPSA. Now institutional delivery is increasing rapidly in this area because of all of our effort. But we need to keep in mind that YPSA is just working as partner of the government of Bangladesh. We have to think about the sustainability of the achievement. He thanked everyone for their contribution toward the reduction of maternal and child mortality and supporting MNCH/ASRHR. Mr. Md. 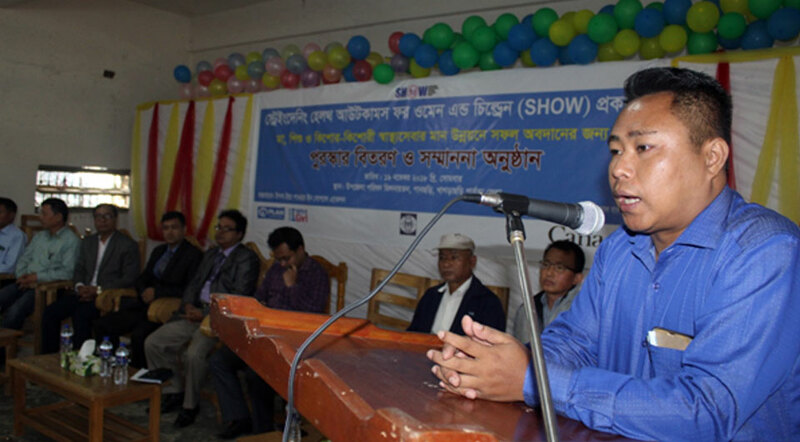 Jashim Uddin, Project Manager, YPSA-SHOW project giving the opening speech. After the welcome speech, a short multimedia power point presentation on YPSA-SHOW Project and on the Award & Prize Giving program was given by Mr. Md. Habibur Rahman (Technical Officer, YPSA-SHOW Project). He reminds the participants about the goal, objective of the project along with the gender transformative approach of the project and its strategy to achieve the ultimate objective of the project. He emphasizes the commitment of the participants on bringing heart and minds together for the mother, children and adolescent towards positive outcomes on MNCH/ASRHR in Panchari. He also details the objective, process and selection of the awards and prize winners to celebrate the positive outcomes of MNCH/ASRHR in Panchari, Khagrachari Hill District. Mr. Md. Habibur Rahman (Technical Officer, YPSA-SHOW Project providing multimedia power point presentation on YPSA-SHOW Project. 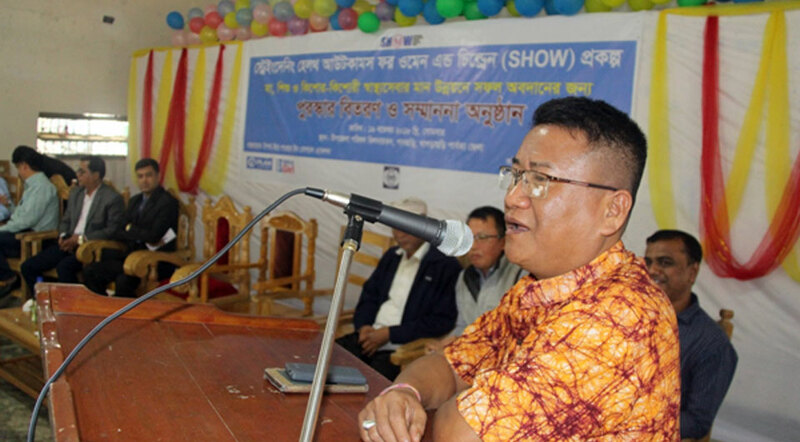 In his speech as special guest Mr. Kala Chand Chakma (Change Maker Member and Chairman, Chengi Union) said that considering the present development in our area on MNCH/ASRHR services, we should think about the sustainability of the project outcome. He requested the government official to take it seriously so that normal delivery at UH&FWC level could continue after the end of the YPSA-SHOW Project. Mr. Kala Chand Chakma, Change Maker Member and Chairman, Chengi Union. Mr. Kiran Tripura (Change Maker Member and Chairman, Latiban Union) said that, I am grateful to YPSA-SHOW Project for their outstanding effort and engagement of different stakeholders in their strategy. I personally become aware through the project, he said. Now I am trying my best to make people aware on ANC, PNC, Safe Institutional Delivery, child health whenever I meet with the community people either in community meeting or personal communication, he added. From our union Porishad we will ensure all the support financially and through community awareness, he gave his commitment. Mr. Natun Dhan Chakma, President, Press Club, Panchari. 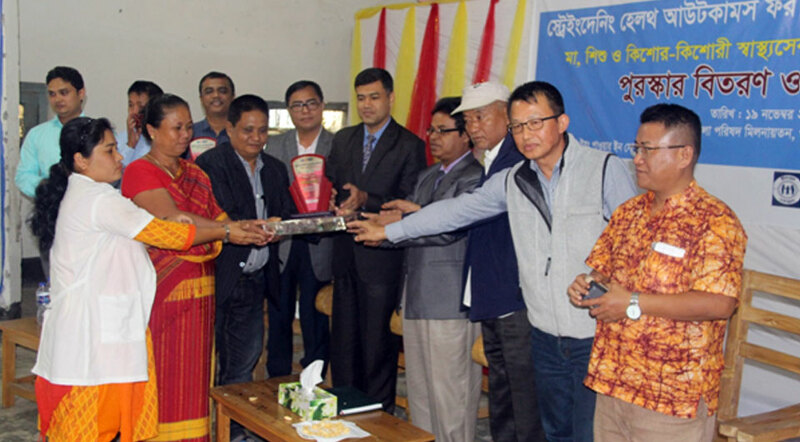 Mr. Natun Dhan Chakma (President, Press Club, Panchari) said that, previously we made news that people of Logang and Chengi Union along with the people of remote areas are deprived of basic health services specially MNCH services. But now we are making news that Chengi and Logang UH&FWC are become the trusted source of MNCH services especially safe normal delivery in the area. It is because of YPSA-SHOW project. YPSA set a unique example of positive MNCH outcome in Panchari. Now it I our duty to continue the journey, he urged everyone. 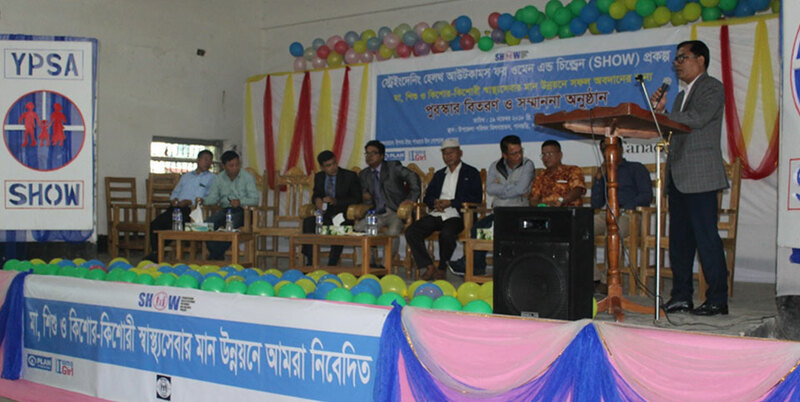 Mr. Sohag Moy Chakma (Upazila Family Planning Officer) in his speech as special guest said that, when YPSA started SHOW project it was seemed that it was fantasy to ensure safe delivery at UH&FWC level in Panchari. But now we see the result. It is our failure that we didn’t provide our hundred percent as government officials. However, now all the odds are gone. Through YPSA-SHOW project the dream come true. To date in the Chengi UH&FWC 18 and in the Logang UH&FWC 22 safe delivery had conducted by the support of CSBAs of YPSA-SHOW Project and our new FWVs. It is our commitment that the journey of safe delivery at UH&FWC started in Panchari and it will continue. There will be no home delivery in Panchari, he said. For that end with the support of YPSA we start dialogue with the elite people of remote areas for their support to send delivery patient in the facilities. He requested the Union Porishad Chairman and members for their support to this end. He thanked all the change makers and peer educators for their voluntary support towards the positive MNCH/ASRH outcomes in Panchari. I am grateful to YPSA for this project and the dedicated project staff. Mr. Dr. Sanjib Tripura (Upazila Health & Family Planning Officer, Panchari) said that, YPSA-SHOW project is doing our duty. We have so many achievements to show and YPSA-SHOW project is one of the contributing factor of our achievement. This type of event inspires us to work more. I hope that very soon will be successful to end maternal and child death in our area and all delivery will be institutional delivery in Panchari. He thanked YPSA and all other stakeholders for their support. 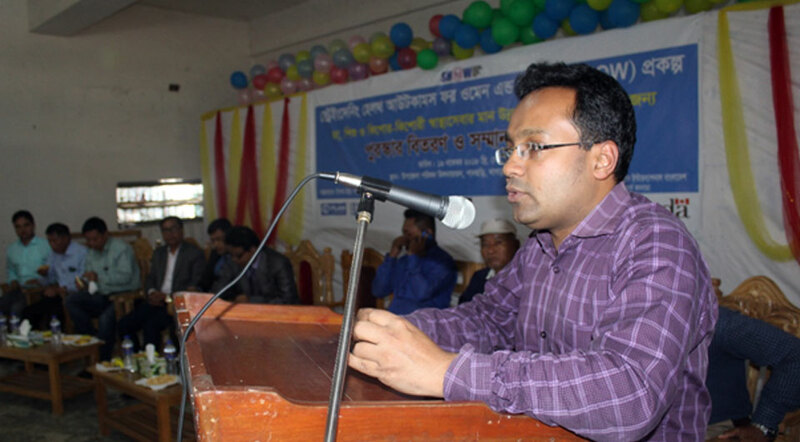 Mr. Mohammad Touhidul Islam (Upazila Nirbahi Officer-UNO, Panchari) said that It is my first public meeting with YPSA. I am very surprised to see the contribution of YPSA in Panchari. I hope YPSA-SHOW project will be a contributing factor to achieve SDG in Bangladesh. He thank everyone for their commitment towards the reduction of maternal and child mortality and positive outcomes in MNCH in Panchari. Chief Guest of the program Mr.Dr. Shah Alam, Civil Surgeon, Khagrachari Hill District. 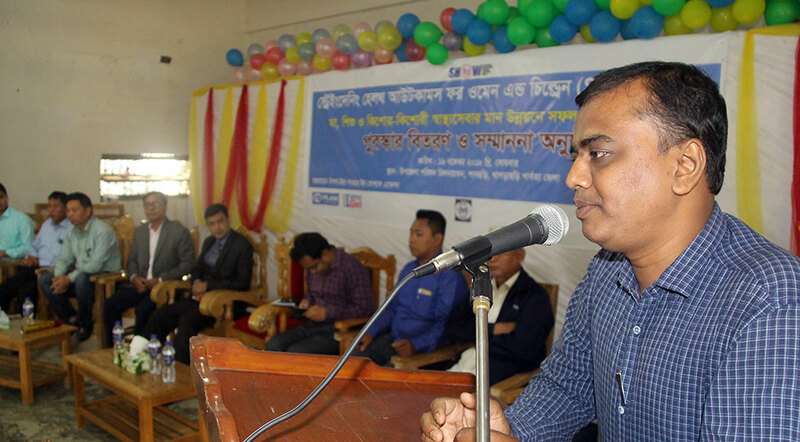 Honorable Chief Guest of the program Mr. Dr. Shah Alam (Civil Surgeon, Khagrachari Hill District) said that, Bangladesh achieved positive outcome in MDG because of our efforts at all level from community, NGO to government level. We are here to celebrate our positive outcomes and to provide award & prize to the change agents. Now we need to make a commitment, we will make Panchari a model of positive health outcomes in Bangladesh, especially on MNCH and safe delivery. I already talked with the officials of YPSA-SHOW project, health and family planning department officials of Panchari and Khagrachari to set some specific action to make the dream true. We want hundred percent institutional normal delivery, safe motherhood and healthy baby. We never want to let any mother die without having basic health service. He asked the government officials to fulfil their commitment.Thanks YPSA-SHOW project to arrange this exceptional event. He inspired the prize winners and said that I hope within very short time Panchari will be a model and YPSA will be proud part of this model. Mr. Biplob Barua, Deputy Director-Family Planning, Khagrachari Hill District. 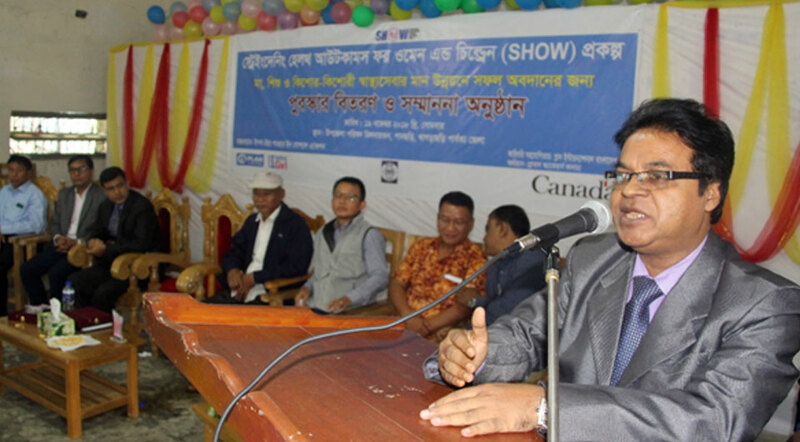 Mr. Biplob Barua (Deputy Director-Family Planning, Khagrachari Hill District) as chair of the event thanked YPSA, Plan International Bangladesh and Global Affairs Canada for their support and work on maternal and child health along with adolescent health issues. We know that Bangladesh government have limitations on manpower, supplies and others, he said. YPSA-SHOW project is supporting us and now we see the positive results. He requests the people of Panchari to work as part of this dream. He urged that if we all could work together really I hope, very soon Panchari will be a role model of health in Bangladesh. To this end institutional safe normal delivery, 4ANC, 4PNC, Birth Planning, Child care, family planning is a must. We need to work together, he said. He thanked the award winners of the positive health outcomes and requested all to work as change agents in MNCH/ASRHR. He also thanked the participant, journalist and YPSA-SHOW project staff for their outstanding contribution. He asked the presence for the publicity of health services of government and YPSA’s work in Panchari. In the event, beside award & prize giving, safety net support (bank cheque) under the project was provided to 10 marginal and ultra-poor mother for safe delivery cost at institutional level. Highest 10 thousand BDT were provided to two mothers. 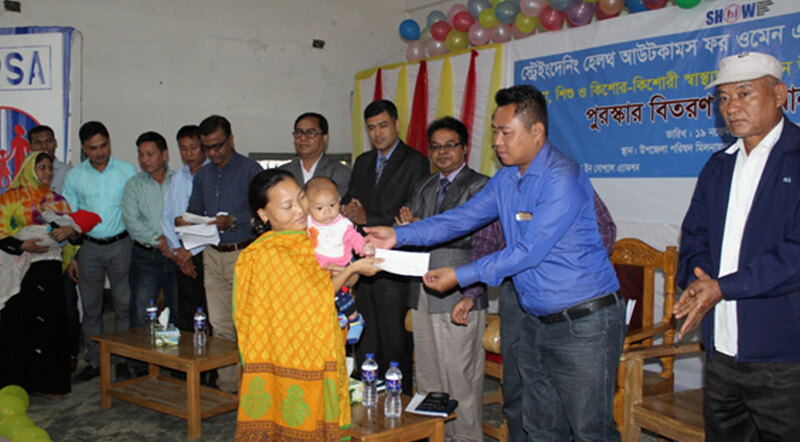 A Mother is receiving bank cheque as safety net support under YPSA-SHOW Project for safe institutional delivery cost. 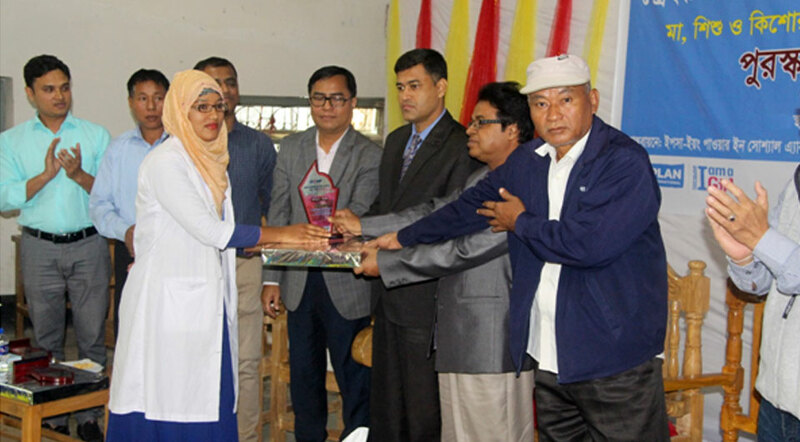 It is to note that the awards (crest) and prizes were given after an assessment result following the assessment guideline for each category from Plan International Bangladesh. The categories are best Project staff, best Change Agent/Volunteer and best Health Facility level award. The best Female-CHW winners are Reshli Chakma from Logang Union, Sufina Chakma from Chengi Union, Biva Chakma from Panchari Union, Tapana Chakma from Latiban Union and Aklima Akter from Ultachari Union. The best Male-CHW winner Anumong Marma from Latiban Union and best CSBA winner Kohinur Akter from Lognag UH&WFC, she did first delivery at UH&FWC level in Panchari. Although SHOW Project have both boy and girl PE but for their outstanding effort all the winning PEs are girls which is an evidence of girls empowerment in MNCH/ASRHR. 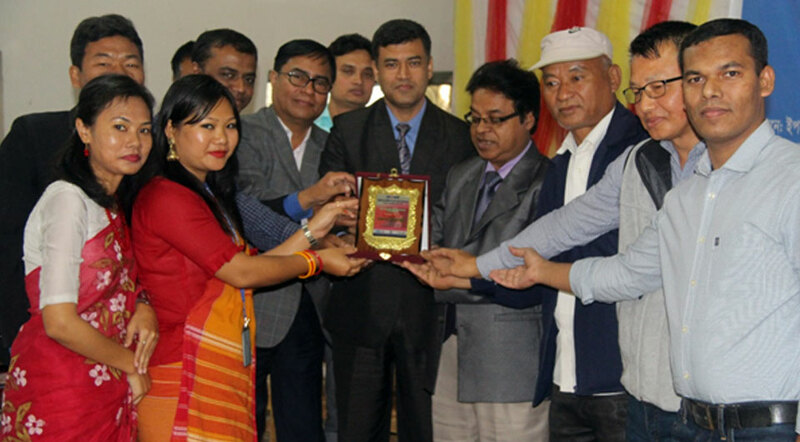 However, the best CMG members are Jatindra Chakma from Logang Union, Sushila Chakma from Chengi Union, Mr. Motiur Rahman from Panchari Union, Mr. Rupen Bikash Chakma for Latiban Union and Mr. Subrata Chakma from Ultachari Union. All of them are working as change agent in their respective union and have proven record of their support towards the end of maternal & child mortality. 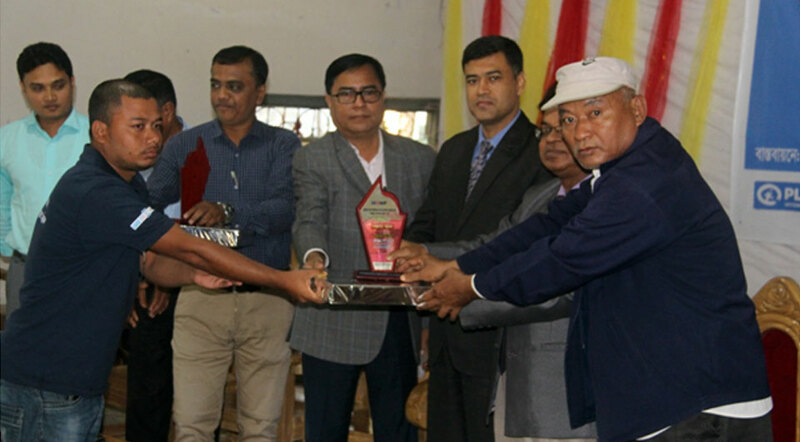 Best Male-CHW of the project winner Anumong Marma from Latiban Union. However, the best UH&FWC winneraward & prize goes to Logang UH&FWC along with best UH&FW Management Committee. 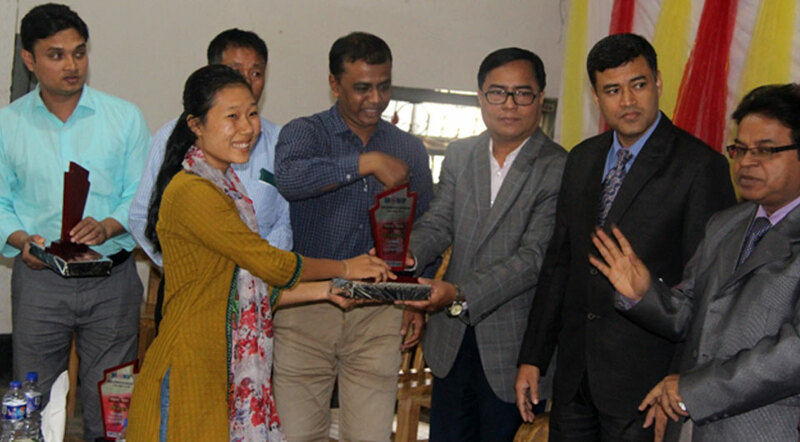 And best FWVwinner award & prize was jointly given to Menti Chakma (FWV-Lognag UH&FWC) and KaloChakma (FWV-Chengi UH&FWC). 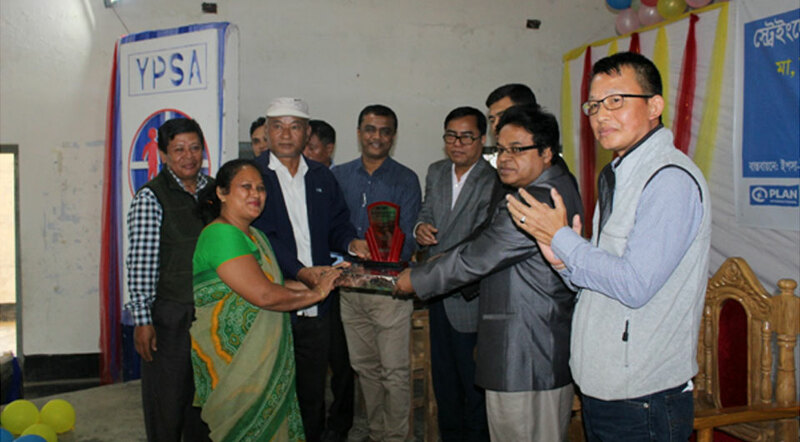 Beside this, best Community Group under Community Clinic award & prize is given to the Nalkata Community Clinic management group under Latiban Union. The whole program is coordinated by Mr. Md. Habibur Rahman, Technical Officer-YPSA-SHOW Project with the support of the project staff (especially Mr. Abdul Kader, A&AO, YPSA SHOW Project) and guidance of Mr. Md. Jashim Uddin-Project Manager and Mr. Md. Mahabubur Rahman, Director Social Development-YPSA. The program was facilitated by Mr. Mihir Tripura (Monitoring & Documentation Officer, YPSA-SHOW project) and Beauty Chakma (Field Coordinator, YPSA-SHOW project). Participants are giving their Commitment towards the positive outcomes on MNCH/ASRHR in Panchari, Khagrachari Hill District to make Panchari as a Model of Health in Bangladesh.